Multiple Teams · Oct 25 ECC Cheer Competition! The Ayden-Grifton Cheerleaders will be participating in the Eastern Carolina 2-A Conference Cheerleading Championships this Saturday at Greene Central High school at 9 am. Admission for the event is $8. Please come out and support our Charger Cheerleaders! 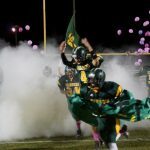 The Ayden-Grifton Winter Athletic awards will be Wednesday March 1st in the Auditorium at 6:30 pm. We will be recognizing our JV and Varsity Boys Basketball teams, Girls Varsity basketball, Varsity Wrestling and JV and Varsity Cheerleading squads. There is no price admission and everyone is invited to attend. Multiple Teams · Sep 5 Monday Night Football at North Pitt! The Varsity Football team will travel to North Pitt tonight to play the rescheduled game from last week that was postponed due to the weather. Kickoff is set for 7 pm so come on out to North Pitt and support the Chargers! 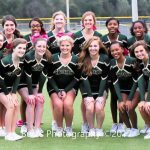 Multiple Teams · May 27 Cheerleaders for 2016-17! 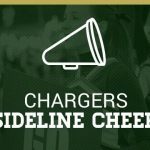 Multiple Teams · May 17 Cheerleading Tryouts! 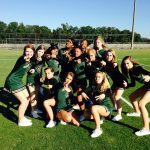 Ayden-Grifton Cheerleading Tryouts for the 2016-17 school year will begin on Monday May 23rd and go through Thursday May 26th after school until 5:30 pm. All participants must have a current physical to tryout. Multiple Teams · Mar 4 Winter Athletic Award Winners!